The tank plates is especially made to fit onto the (main) cylinder to form a firm and easy connection between a backpack, pony bottle or double set. The rubber strips attached to the tank plate provide an extra secure connection. Attach the tank plate onto the cylinder using fastening tape or Metalsubs Stainless steel hose clips. 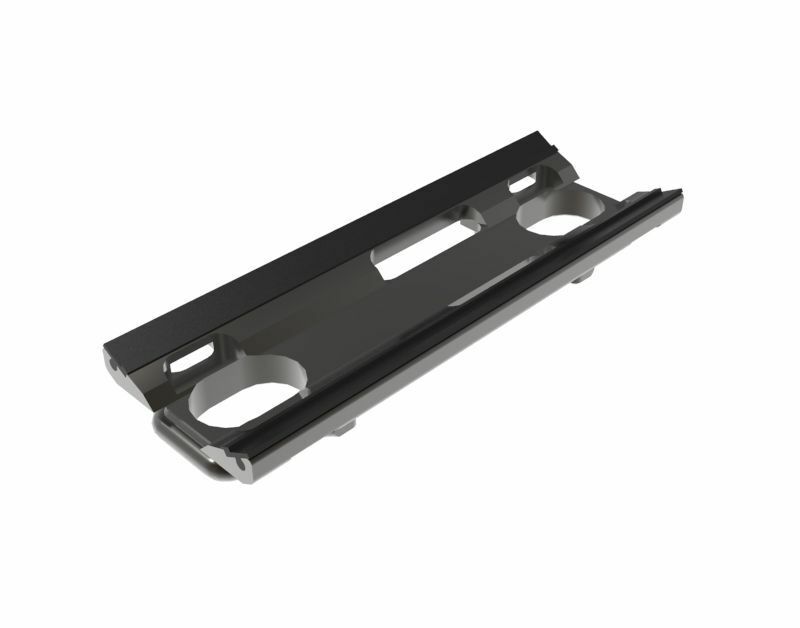 Manufactured from a very high quality aluminum with unique anodizing layer (see technical specificatiens below) to guarantee a high degree of corrosion resistance. 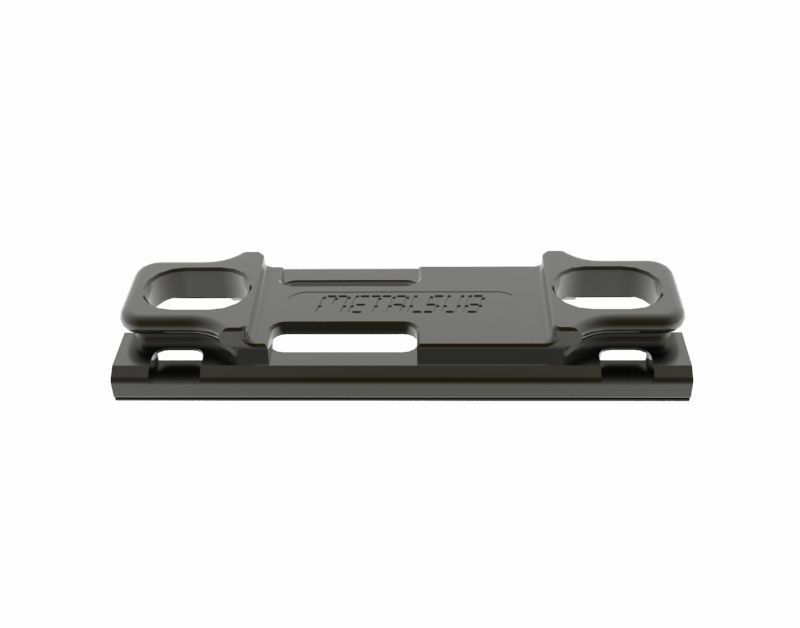 The ground plate is equipped with thick rubber protection strips to prevent damage on the cylinders. 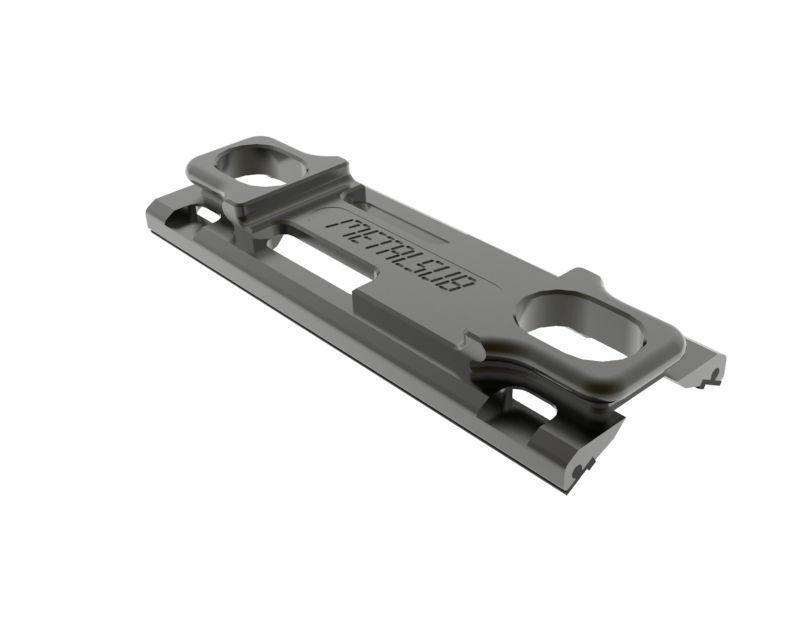 The Tank Plate is provided with two different types of slots, so it’s up to you whether you attach it to your pony bottle using a regular plastic bottle tape or Stainless steel hose clips. The sleek, rounded, minimalist design with low profile free of sharp edges ensures that underwater lines and nets do not easily catch on the fastening system.